The 2019 edition will take place in the City of Ghent, which is described by the Lonely Planet as one of Europe’s Best Kept Secrets. The conference venue is located at het Pand, the culture and congress centre of Ghent University. Het Pand is a historical monument: this unique building is a former Dominican Monastry, situated beside the river Leie in the historic center of the city of Ghent. Quantum 2019 will be the ninth edition of this international conference attended by researchers coming from all over the world (about 300 in the last editions). Purpose of this workshop is to favour the exchange of ideas and discussion on last results among leading physicists working in the interconnected fields of Quantum Metrology-Sensing & Imaging, Quantum Information and Foundations of Quantum Mechanics, in particular in the framework of quantum optics. The world of Optics and Photonics meet in Lisbon, Portugal, from the 31th May to the 4th of June 2019, at the IV International Conference on Applications in Optics and Photonics, AOP 2019! The present scientific activity is the 4th edition of successful meetings, which started upon the extraordinary success of the first International Conference on Applications in Optics and Photonics, AOP2011, organized by the Portuguese Society for Optics and Photonics, SPOF, at the University of Minho (www.optica.pt/aop2011), followed by a second edition in Aveiro (www.aop2014.org) and a third in Faro (www.aop2017.org). 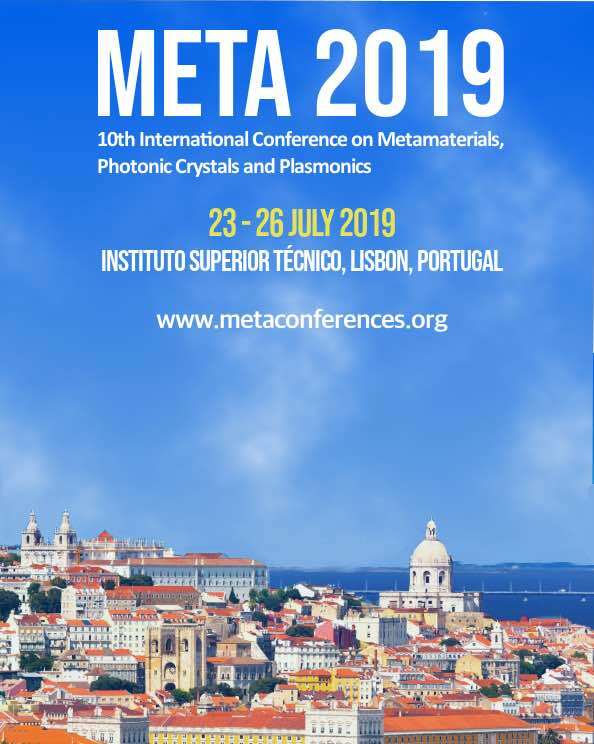 It will be the major optics conference in Portugal next year and one of the most important at world level, aiming at discuss the recent progress and to establish a view on the future of all fields of optics and photonics. 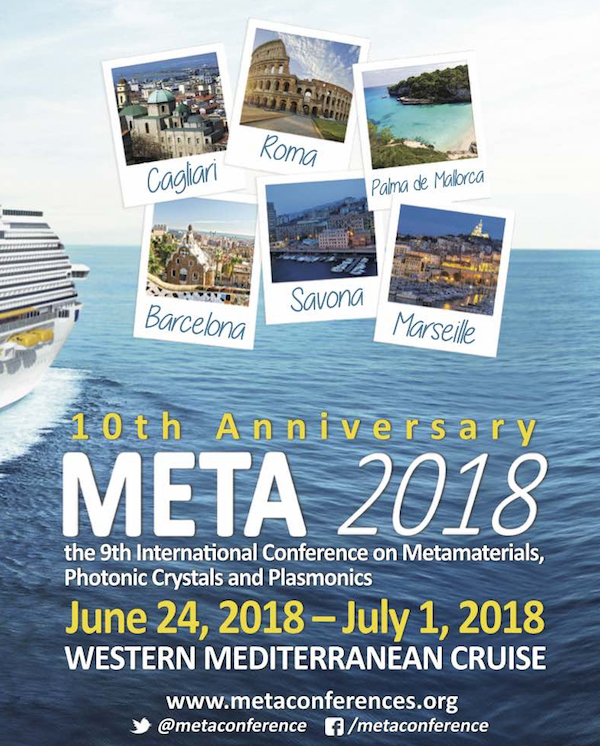 Abstracts, to be submitted by January 18, 2019, are welcome in all fields of optics and photonics. ISI indexed proceedings will be published. We look forward to welcoming you in Lisbon on May/June. Frontiers in Neurophotonics is an opportunity to meet fellow researchers and students from around the world, discuss and discover the latest advances in live cell optical imaging techniques put in perspective by experimental challenges in the field of neuroscience. The school will combine tutorials given by experts in photonics and neuroscience and hands-on experiments involving advanced optical approaches to measure, manipulate and follow molecular events in living neuronal cells. The next edition of the Frontiers in Neurophotonics Summer School will take place June 2-12, 2019 at the Neurophotonics Centre. After successful conference editions (for example Girona) https://icton2017.udg.edu/) and Bucharest last year, the ICTON 2019 conference will take place in Angers, which is in the heart of the region Pays de la Loire and easily reachable by the TGV fast train from Paris Charles de Gaulle international airport , Angers could be also reached from Nantes Atlantic airport. Angers is awaiting for its visitors to visit its emblematic attractions: The Saint-Maurice cathedral, The Castle (Château d'Angers), The Musée des Beaux-Arts d'Angers, and many more. From Tuesday 09 to Saturday 13 July the ICTON 2019 will be the 21st anniversary conference from ICTON series. The 21st International Conference on Transparent Optical Networks ICTON 2019 will be kindly hosted by Université d'Angers, Angers, France, July 9 -13. The 18th ICOCN (ICOCN'2019) will be held during Aug. 5-8, 2019 in Huangshan, the city named after the nearby Huangshan Mountain, one of the World Natural and Cultural Heritage sites by UNESCO. It's our great honor to invite colleagues and friends to participate in this great event and to enjoy the special views, foods and leisure life over there. Nanophotonics explores light-matter interactions and optical processes on the nanometer scale where size-related phenomena emerge. The miniaturization of photonics to nanoscale dimensions provides small mode volumes and strongly enhanced fields, which is of relevance for integrated opto-electronics, quantum information processing, high-throughput sensing and photocatalysis. The 2019 Monte Verita conference focuses on both fundamental studies and on applications that emerged during the last years. The program will include new research directions, such as topological photonics and optoelectronics of low-dimensional materials. It will cover applications, such as high-speed modulation for data transmission or single photon sources for quantum information processing. 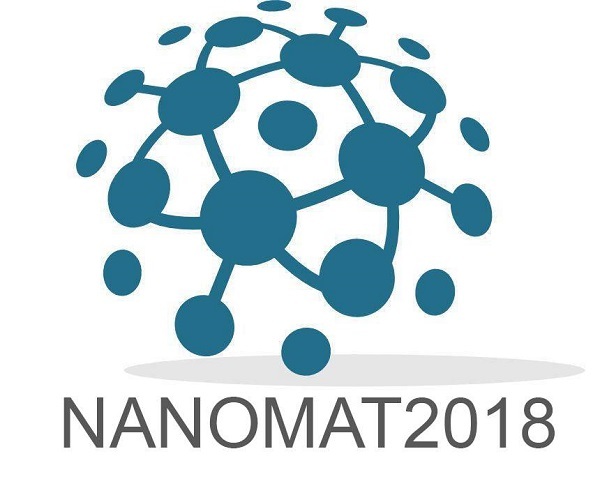 The objective is to bring together experts from different subfields of nanophotonics and to provide an interdisciplinary platform for discussing synergies, opportunities, and new directions. 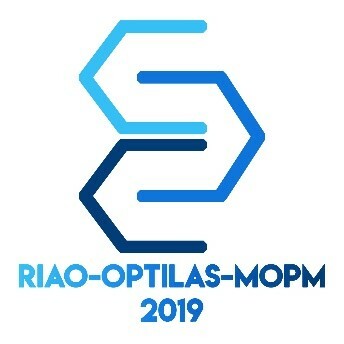 The Iberoamerican Optics Meeting (RIAO) and the Latinamerican Meeting on Optics, Lasers and Applications (OPTILAS) is the major forum where researchers from iberoamerica meet all together every three years to create bonds of collaboration, share and discuss relevant development and promote new research lines in the optics an photonics field. In this ocassion Mexican Optics and Photonics Meeting joint with the Conference RIAO-OPTILAS. This event is a five-day conference, including plenary sessions delivered by international recognized speakers; oral sessions where invited and selected contributions present their most relevant results; poster session for selected contribution and one day for social activities. We are pleased to announce that the 5th International Conference on Perovskite Solar Cells and Optoelectronics ( PSCO19 ) will be held in Lausanne, Switzerland, from 30 September to 2 October 2019 (Mon-Wed). We kindly invite you to register and submit an abstract to present your research. Please visit the conference website at www.psco-conference.org for further information. The National Science Foundation BioXFEL Science and Technology Center is pleased to announce that it will be hosting its sixth annual international conference in San Diego, CA February 12th - 14th, 2019. The aim of this conference is to discuss the recent developments in the field of Biology with X-ray Free Electron Lasers and where the field is headed in the future. We will also have a short workshop on the sample delivery needs for Biology at XFELs. Workshop on Organic Matter Spectroscopy still aims at addressing new trends and recent advances in the characterization of dissolved organic matter (DOM) in marine and inland waters, using spectroscopic techniques associated with advanced signal and image processing tools. It will be the fourth international workshop dedicated to DOM spectroscopy. The preceding edition of WOMS took place in Granada (Spain) in 2010, Toulon (France) in 2013 and Sopot (Poland) in 2015. This year it is from 23th to 27th october at Carqueiranne. WOMS 2018 invites original contributions about the characterization of DOM in marine and inland waters using fluorescence spectroscopy, coupled with advanced signal and image processing tools, among which improved data analysis, detection, clustering, separation, reconstruction, tracking and real-time monitoring. Prospections for future innovation in applied fluorescence spectroscopy to environmental material are welcome. The purpose of WOMS 2018 is to provide a forum for discussing new and effective approaches in the area of fluorescence spectroscopy for the analysis of environmental data. WOMS 2018 also offers to signal/image and environment communities the opportunity to meet, in order to strengthen their dialogue and interactions on topics of common interest. 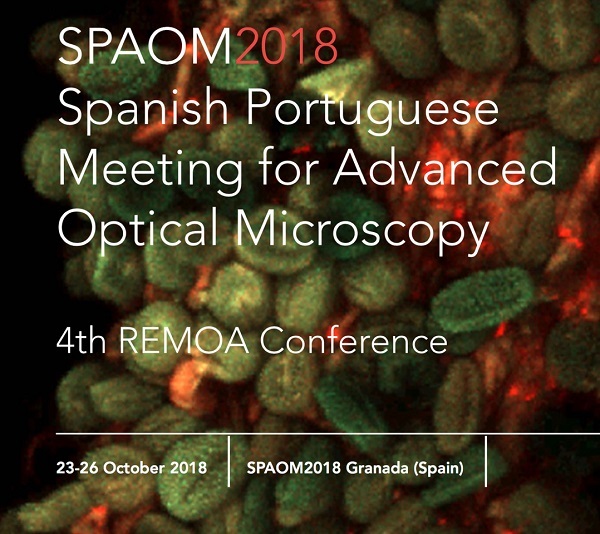 This year, the Spanish Network of Advanced Light Microscopy (REMOA, www.remoa.net) and the Portuguese Platform for Bioimaging (www.ppbi.pt) will join for a second time following the former successful meeting 2016 in Bilbao (Spain) in order to celebrate the Spanish-Portuguese Meeting for Advanced Optical Microscopy (SPAOM2018). This event will take place in Granada (Spain) from the 23rd to 26th (Tuesday to Friday) of October 2018. We would like to cordially invite you to participate in our meeting. The event will take place in Granada, the capital city of the province located in the Andalusian region (Southern Spain), just at the foot of the Sierra Nevada mountains range, and just an hour from the Mediterranean and the tropical coast by car. Granada’s vast heritage includes the Alhambra Moorish citadel (UNESCO’s World Heritage Site) and the Generalife palaces, which combine Nasrid works of art with rich architecture embracing numerous Renaissance and Baroque buildings. Granada is also a centre of scientific excellence, and has been recently awarded the official distinction of “City of Science and Innovation” by the Spanish Ministry of Economy, Industry and Competitiveness, to recognise the activity of the numerous research institutes, technological infrastructures and institutions, including the prestigious University of Granada. International Conference on Ultrafast Optical Science(UltrafastLight-2018), is the broad-scope, annual international symposium dedicated to the most important aspects of ultrafast phenomena in different fields of natural sciences and engineering, which will be held in Moscow on October 01-05, 2018. 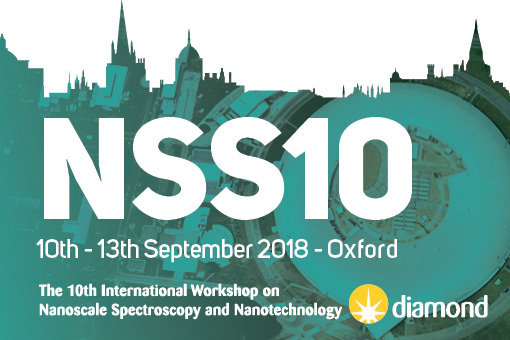 NSS10 is a biennial meeting series that brings together experts to discuss and share information on latest research advances of science and technology in the nanoscale regime including (but not limited to) electronic, optical, magnetic, mechanical and transport properties of nanoscale systems and nanoscale devices, as well as characterisation tools to study them. It will additionally focus on low dimensional materials, catalysis, energy materials, topological materials and their practical applications. This year’s conference will address the most recent advances in nanoscience and nanotechnology with emphasis on XFEL, synchrotron and electron microscopy related applications via an exciting and stimulating program of talks and posters. Following the first edition in Besançon (France) in 1992, NFO conference has since been held every second year all over the world. This conference is now the most established and outstanding scientific event that focuses on near-field optics, nanophotonics, plasmonics and related domains. 26 years later, and 2 years after the latest successful presentation of this event in Japan, NFO is back in France! After the successful conference in Girona last year, the ICTON 2018 conference will take place in Bucharest, capital of Romania, from Sunday July 1st to Thursday July 5th, 2018. The ICTON 2018 will be the 20th anniversary conference from ICTON series. The scope of the Conference is focused on the applications of transparent and all-optical technologies in telecommunications, computing and novel applications. Special sessions on superresolution light microscopy techniques and image processing will be included in the conference programme. OPAL 2018 will incorporate the following three symposiums covering a broaden range in optics, photonics and lasers, and provide an excellent opportunity to exchange ideas and present latest advancements in these areas. The OPAL 2018 will be organized by IFSA. Media partner - journal Photonics (ISSN 2304-6732). which all aim at visualizing the dynamics of assemblies of atoms at the atomic-scale resolutions of space (the sub-Å) and time (the femtosecond). The conference aims at building bridges to better connect these communities and to foster the exchange of information and expertise. The conference and hands-on workshop FLIM 2017 presents main trends of nonlinear microscopy, multiphoton tomography, fluorescence lifetime imaging in Life Sciences. The venue Adlershof is Germany’s leading Science and Technology Park. Day of photonics is an biennial event held every 2 years that promotes “photonics” towards the general public. Companies, research organizations, and organizations involved in photonics reach out to their communities to raise awareness about what is photonics and why it is important, and promote the role of their organization in the photonics ecosystem and value chain. CLEO, respected worldwide as the premier laser and photonics technical conference and exhibition, has represented the pinnacle of science and innovation for nearly 40 years. Well-known for its world-renowned peer-reviewed program, CLEO unites the field of lasers and electro-optics by bringing together all aspects of laser technology and offers high-quality content featuring breakthrough research and applied innovations. CIMTEC 2016 - 7th Forum on New Materials, to be held in Perugia, Italy, June 5 to 9, 2016 will include the 5th International Conference “Smart and Multifunctional Materials, Structures and Systems” and the 11th International Conference “Medical Applications of Novel Biomaterials and Nanotechnology”. The IEEE Photonics Conference -- IPC (formerly the IEEE LEOS Annual Meeting) -- is the premier international conference in photonics organized by the IEEE and is the flagship program and annual summit of the IEEE Photonics Society. This year for our 8th Biennial Meeting, ICMAT will be in collaboration with the 16th IUMRS-ICA (International Union of Materials Research Societies, International Conference in Asia). Together with the 4th PGC (Photonics Global Conference), this conference ensures that an exciting line-up of distinguished keynote speakers and programs is planned out for you. 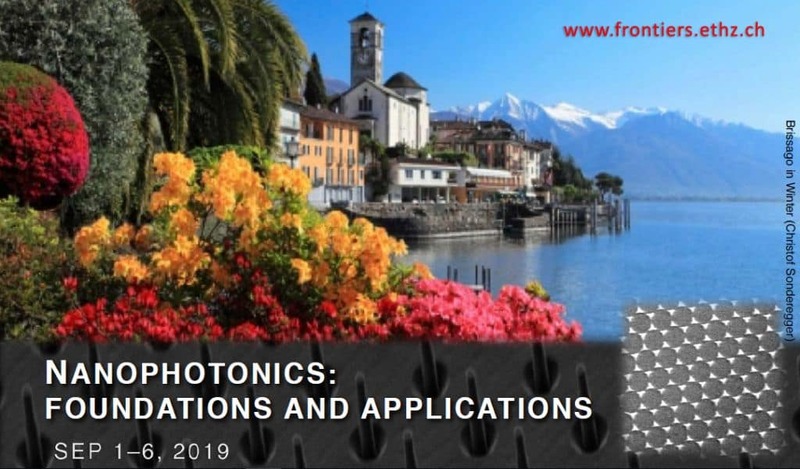 This 3rd edition of PHOTOPTICS will feature 3 different tracks on Optics, Photonics and Lasers, covering both theoretical and practical aspects. 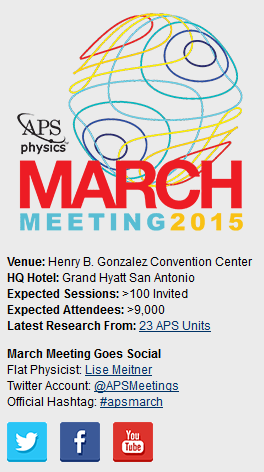 Join nearly 10,000 physicists, scientists, and students at the APS March Meeting 2015 in San Antonio, Texas. Non-classical way of manufacturing and polishing using MRF, IBF, Plasma, Laser etc. Computational imaging, coded aperture systems, etc. The purpose of OPTICS 2014, the International Conference on Optical Communication Systems, is to bring together researchers, engineers and practitioners interested on any of the optical communication components of an optical communication system, or the system itself. An optical communication system consists of a transmitter, which encodes a message into an optical signal, a channel, which carries the signal to its destination, and a receiver, which reproduces the message from the received optical signal. Attend SPIE Optics + Photonics 2014, the largest international, multidisciplinary optical sciences and technology meeting in North America. Hear the latest research in optical engineering and applications, solar energy, nanotechnology, and organic photonics. 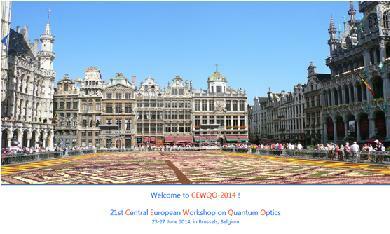 Started in the 90s within a European project aimed at collaborating with Central-European countries this series of workshops has evolved into a central annual gathering of European researchers working in quantum optics, its applications to quantum information, and foundations of quantum mechanics. The 2014 Optical Fabrication and Testing Topical Meeting (OF&T) will emphasize new ideas, concepts and emerging applications in optics manufacturing and metrology. Optical techniques are making a significant impact in biology and medicine. They can be used for imaging and sensing from molecules to man. Since 1990 the OWLS conference has been an important forum for researchers pioneering novel optical techniques and their applications. 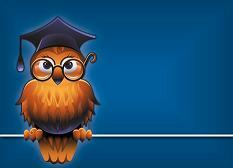 This is the first OWLS conference to be held in China and we look forward to welcoming you to Ningbo. Sponsored by the American Physical Society/ Division of Laser Science (APS/DLS), the Institute of Electronic Engineers Photonics Society (Photonics Society) and the Optical Society (OSA), CLEO, the Conference on Lasers and Electro-Optics, provides the full range of critical developments in the field, showcasing the most significant milestones from laboratory to marketplace. Well-known for its world-renowned peer-reviewed program, CLEO unites the field of lasers and electro-optics by bringing together all aspects of laser technology and offers high-quality content featuring break-through research and applied innovations in areas such as ultrafast lasers, energy-efficient optics, quantum electronics, biophotonics and more. For the 10th time, laser manufacturers and laser users from various branches will meet at the biannual International Laser Technology Congress AKL. Featuring over 600 participants, around 70 speakers and over 40 sponsors, the AKL has established itself as the leading forum for applied laser technology in Europe. Supporting organizations include European Commission, European Photonics Consortium EPIC, the Arbeitskreis Lasertechnik e.V., European Laser Institute as well as industrial associations such as SPECTARIS, VDA, VDMA and VDI. The upcoming Biomedical Optics meeting covers the diversity of cutting edge research and brings together leading scientists, engineers, biologists, and physicians engaged in biological and medical research using optical methods. In recent years Laser Optics Berlin has become a successful meeting place of the world’s leading decision-makers from the laser optics industry. The heart of the event is the Scientific-Technical Congress, which takes place in parallel. 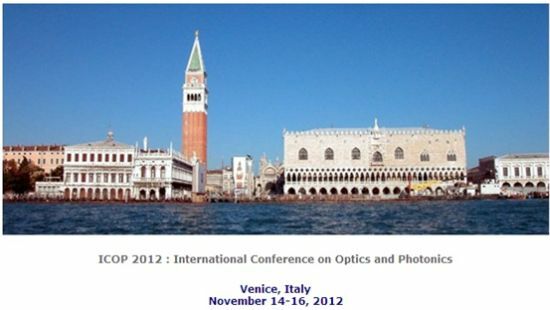 In 2012 the congress had been organized by the Optical Society of America (OSA). Another first in 2012 was the fact that microsys berlin also took place in parallel with Laser Optics Berlin. The most important topics of microsys berlin include micro-optics and micro-optical systems. The 9th International Conference on Optics-photonics Design and Fabrication, “ODF'14, Itabashi, Tokyo”, will be held on February, 12-14th, 2014 at Itabashi Culture Hall, Tokyo, Japan. Optics-photonics design and fabrication will continue to play a significantly important role in the 21st century, achieving harmony between technology and the environment and building bridges for real international cooperation worldwide. ODF'14 provides an international forum for original paper presentations and discussions of optics-photonics design and fabrication-related technological and scientific topics, including theory, design, fabrication, testing, applications and others. SPIE Photonics West is the largest and most influential conference for biophotonics, biomedical optics, industrial lasers, optoelectronics, microfabrication, optical MEMs, and green photonics. This 2nd edition of PHOTOPTICS will feature 3 different tracks on Optics, Photonics and Lasers, covering both theoretical and practical aspects. Researchers, engineers and practitioners interested in any of these fields are welcome to join us in Lisbon and present their work on new methods or technologies, advanced prototypes, systems, tools and techniques, as well as general survey papers indicating future directions. Asia Communications and Photonics Conference (ACP) is the premier conference in the Asia-Pacific region on photonics and relevant technologies including photonic materials and devices, communication and network technologies, sensing technologies, biophotonic technologies, illumination technologies, photovoltaic technologies and other photonic technologies regarding energy issues. The focus of this meeting is on application of optics in photovoltaic and thermal solar energy generation. Topics include optical components, device structures, novel materials, energy conversion performance modeling, field tests, and economic impact of optics for solar energy conversion. The goal of this meeting is to bring together the researchers, engineers, and managers developing and using optics for the generation of solar energy to encourage active discussion. All forms of solar energy generation, transmission, and storage that benefit from optics will be considered. The Organizing Committee invites scientists and engineers involved in research and development in technologies related to optics and high technology material science to this meeting. We welcome researchers involved in basic and applied optics and related materials research as well as those concerned with devices and industrial applications of the technology. We hope that this Conference will permit to connect our joint effort for strengthening the role of high optical education in the modern industrial society. ECOC will be the largest optical communication event in Europe for 2013 and will provide a forum for new results and developments. Further information on ECOC 2013 will be posted on this website as soon as it becomes available. IPC 2013, to be held at the Hyatt Regency Bellevue, Washington, USA, from 8-12 September 2013, is the latest in the series of conferences which were formerly known as the LEOS Annual Meeting, and which provide a premier global forum for reporting the latest developments in photonics, from science through to technology. This year’s conference will feature plenary talks, invited talks, tutorials and special symposia covering the full diversity of photonics. SPIE Optics + Photonics 2013, the largest international, multidisciplinary optical sciences and technology meeting in North America. This is your chance to share and exchange ideas, be published, and connect with others in the field. Submit your abstract today. The International Congress on Laser Advanced Materials Processing (LAMP) deals with science and technology of advanced laser materials processing covering precision microfabrication and high power laser processing. Basically LAMP is held every four years, and the former LAMPs have won the good reputation and popularity as the one of the most excellent international meetings in the world. LAMP2013 is held during July 23‐26, 2013, in TOKI MESSE, Niigata. Japan. The conference brings together international leading researchers, scientists and engineers who are actively working in lasers and their applications, nanophotonics, optical devices, optical transmission and optical networking, optical fibers, optical switching system and related technologies. The conference will combine the following three major international conferences, which widely covers in the field of “optics (photonics)” from lasers and devices to systems and networks. The 10th Conference on Lasers and Electro-Optics Pacific Rim(CLEO-PR 2013) The 18th OptoElectronics and Communications Conference (OECC 2013) Photonics in Switching 2013 (PS 2013) The combination of these conferences will make this the most significant and valuable conference for participants from all over the world, and also will provide a forum for the discussion of significant progress of research and development of appropriate technologies. The Materials Research Society of Singapore (MRS-S) was created in 1999 as a not-for-profit organisation to serve a rapidly emerging materials science community in Singapore. The founding President of the Society was Prof Shih Choon Fong. The Society is affiliated with the International Union of Materials Research Societies (IUMRS). To this end, the Society's major activity is the organisation of a biennial event - the International Conference on Materials for Advanced Technologies or ICMAT - that is held in June/July and attracts more than 2000 delegates from all over the world. Participate in 5rd International Symposium on Photoelectronic Detection and Imaging (ISPDI 2013), and see the latest research and integration in the fields of photoelectronic detection and imaging technologies. Review the advances made in the areas of high power lasers, laser sensing and imaging, infrared imaging technology, visible Imaging sensors, ultraviolet detection technologies, Terahertz technologies, imaging spectrometer technologies, and micro/nano optical imaging technologies, etc. This topical meeting investigates the commonality and possible synergies between the adaptive optics methods developed and used by various communities pursuing different applications. 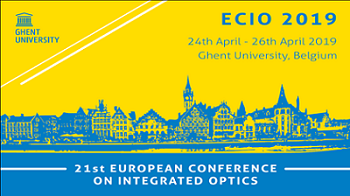 CLEO, the Conference on Lasers and Electro-Optics, provides the full range of critical developments in the field, showcasing the most significant milestones from laboratory to marketplace. POEM will be held on 24-27 May 2013, and brings together a wide range of research, technologies and perspectives in the fields of photonics and optoelectronics. It not only welcomes all your participation in this important international forum, but also has features open to all the individuals and entities worldwide that have interest in joining us by programming and organizing the activities under four technical areas of Biomedical Photonics, Industrial Photonics, Information Photonics and Photonics for Energy. 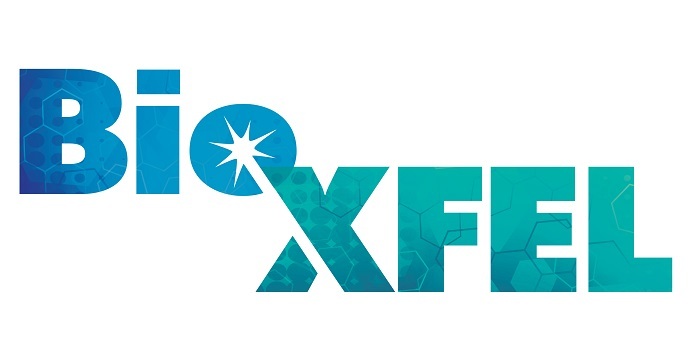 This initiative aims at promoting a scientific meeting with a high level of interaction between participants, enabling an open debate and the assessment of new concepts, technologies and applications in the domain of optical fibre sensors, as well as establishment of new collaborations and networks. 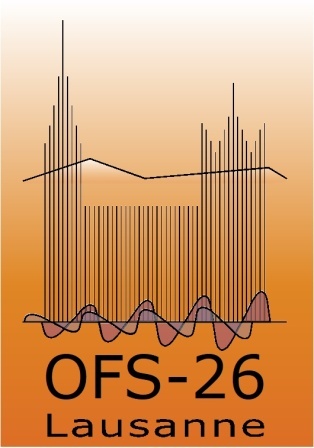 EWOFS'2013 also intends to complement in time and geographical location the international conferences in this area, and in particular the International Conference on Optical Fibre Sensors (OFS). Addressing scientific achievements, technological applications and commercial exploitation, the goal is to create a programme that will be attractive for both academics and professionals working in this area. The 3rd EOS Conference on Manufacturing of Optical Components, EOSMOC 2013, will highlight significant technology trends, emerging technologies and associated prospective developments. This meeting provides a forum for all aspects of optics fabrication and testing, ranging from micro to large-scale optics and from high value one-off to mass-produced components. The Lasers in Manufacturing (LiM) 2013 is a scientific conference that focuses on the latest developments as well as future trends in the field of Laser Material Processing. Dealing with Process Engineering, System Technology and Process Optimisation, the LiM 2013 addresses anyone interested in the potential of lasers in theory and application. Organized by the German Scientific Laser Society (WLT), the conference will bring together international experts from research and industry in order to match scientific advances and economic needs for mutual benefit. The ASLMS promotes excellence in patient care by advancing biomedical application of lasers and other related technologies worldwide. Insight in ocean optics has evolved gradually, from centuries ago, the time of mere observations of colour and transparency changes in time and space, to the period starting in the late 20th century when satellites were launched and ocean optics became a real science. In other words, an evolution from no more than human fascination for the colour of natural waters to the development of ideas, instrumentation, instrument validation and experimentation, the ingredients necessary to really understand the colouring of water. New challenges within the field of marine optics are designs on innovative optical sensors for in-situ monitoring of marine environment. OFC/NFOEC brings you the thought leaders and solutions providers taking data, communications and IT infrastructure beyond what you ever thought possible. From the ideas that will become tomorrow’s solutions to the solutions your business needs today—you’ll find them at OFC/NFOEC. This 1st edition of PHOTOPTICS will feature 3 different tracks on Optics, Photonics and Lasers, covering both theoretical and practical aspects. Researchers, engineers and practitioners interested in any of these fields are welcome to join us in Barcelona and present their work on new methods or technologies, advanced prototypes, systems, tools and techniques, as well as general survey papers indicating future directions. OPAP aims to bring together researchers, scientists, engineers, and scholar students to exchange and share their experiences, new ideas, and research results about all aspects of Optoelectronics, Photonics & Applied Physics, and discuss the practical challenges encountered and the solutions adopted. The conference is held annually and serves as an ideal platform for researchers and scientists to share views and experiences in Science and Technology and related areas. The XXXIII. International Conference on Optics and Photonics aims to bring together academic scientists, leading engineers, industry researchers and scholar students to exchange and share their experiences and research results about all aspects of Optics and Photonics, and discuss the practical challenges encountered and the solutions adopted. The XXXIII. International Conference on X-Ray and Neutron Optics aims to bring together academic scientists, leading engineers, industry researchers and scholar students to exchange and share their experiences and research results about all aspects of X-Ray and Neutron Optics, and discuss the practical challenges encountered and the solutions adopted.